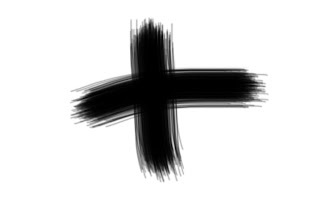 Ash Wednesday is here. The Holy Season of Lent is upon us. We receive the ashes on the forehead as a sign of repentance, penance and humility. We are reminded that we are dust and to dust we shall return. We are not an end in ourselves. To be reminded that we are merely dust is a big statement. It is a reminder of our mortality. We did not will ourselves in to existence. God willed us into existence and we are answerable only to Him. The use of ashes as a sign of repentance comes from Scripture. Its use is mentioned in Esther 4:1, Job 42:6 and Daniel 9:3. The ashes are administer by clergy or an extraordinary minister of the Holy Eucharist. Catholics and non-Catholics can receive ashes. The ashes are either scattered on one's head or a cross is traced with it on a person's forehead. The palms used from the Palm Sunday from the previous year are burned and this is what is used on Ash Wednesday. Can. 1250: The penitential days and times in the universal Church are every Friday of the whole year and the season of Lent. Can. 1251: Abstinence from meat, or from some other food as determined by the Episcopal Conference, is to be observed on all Fridays, unless a solemnity should fall on a Friday. Abstinence and fasting are to be observed on Ash Wednesday and Good Friday. Can. 1252: The law of abstinence binds those who have completed their fourteenth year. The law of fasting binds those who have attained their majority, until the beginning of their sixtieth year. Pastors of souls and parents are to ensure that even those who by reason of their age are not bound by the law of fasting and abstinence, are taught the true meaning of penance. Each diocese or conference of bishops may have different rules, so be sure to check with your local diocese. Those with medical conditions are exempt. Let us ask God for forgiveness for our sins and ask Him to help us on our journey in life. We should frequent the Sacrament of Penance often and seek spiritual guidance from a holy spiritual director during this period. Congratulations to Cardinals Dolan and O' Brien! Can a believer in God be Pro Abortion?